Making a box for Leibniz butter biscuits. This project is part of the Woodworking Europe Collaboration Build 2015 were a bunch of other Woodworker from Europe came together to create something presenting or serving a local product or food speciality and show the build in a video on Youtube. I decided to create a box for butter biscuits made by Bahlsen, a local cookie producer since 1889. Thanks Peter Freitag and Gerrit Klaassen for the opportunity to present our Europe to the world together. I bought some laminated spruce boards for this project. 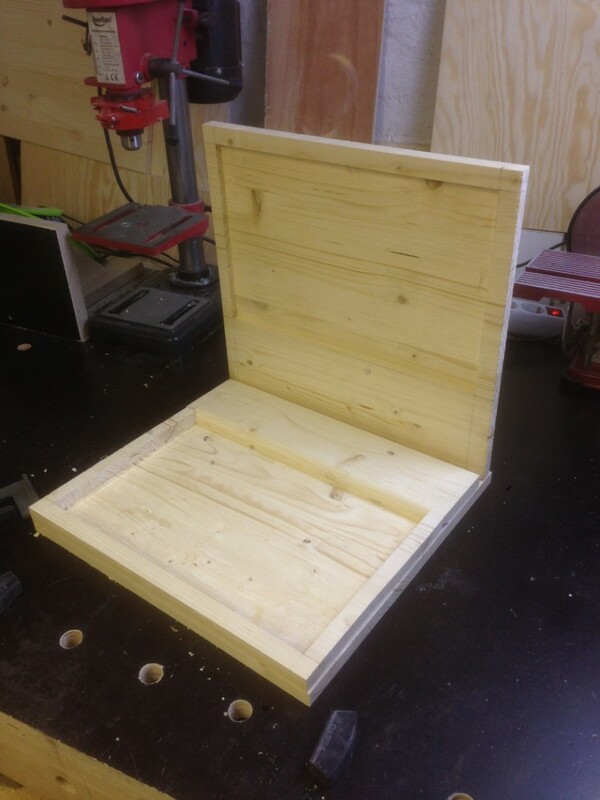 First I searched the wood for imperfections, layouted the dimensions of the box roughly and decided which part will be the top. the middle and the bottom. From the middle board I cut out a rectangle where the biscuits will be put later. Then I glued the middle and bottom part together and used the middle part to guide my router so that I could extend the depth of the recess. Because I already glued the “template” down to the bottom I had to create another template for the lid. After cutting everything to width I fitted the hinges and a lock and added them temporarily. Then I had to shape each of the 53 teeth with a file and sand everything 3 times to 240 grid. In 1889 Hermann Bahlsen aquired a small cake and biscuit shop in Hannover. Two years later he came up with his first own product, the butter biscuit. He named his creation after a famous son of city, the mathematician and philosopher Gottfried Wilhelm Leibniz (1646-1716). The Leibniz Butter Biscuit with his 52 teeth was born. To increase the productivity Bahlsen introduced the first band-conveyer in Europe in 1905 and in 1911 he expanded and build a new factory. Hermann Bahlsen died in 1919 and his descendants kept the road to success. After World War 2 and the rebuild they started exporting their products to the US. Because of space issues in the late 80s the production was sourced out to Barsinghausen, a city near Hannover. 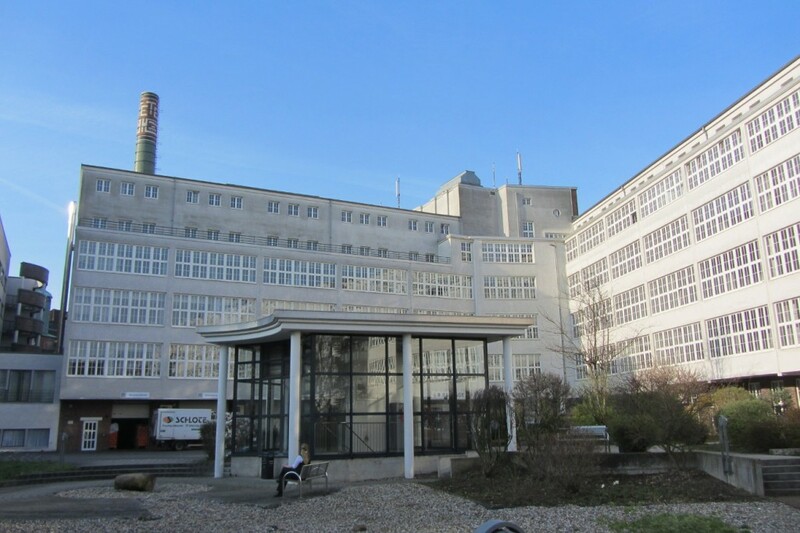 The factory in Hannover is now the head office of Bahlsen and there are many offices of other companies in the old factory building. But there are still some blasts of the past around like an old steam engine and of course the outer appearance including the old chimney. 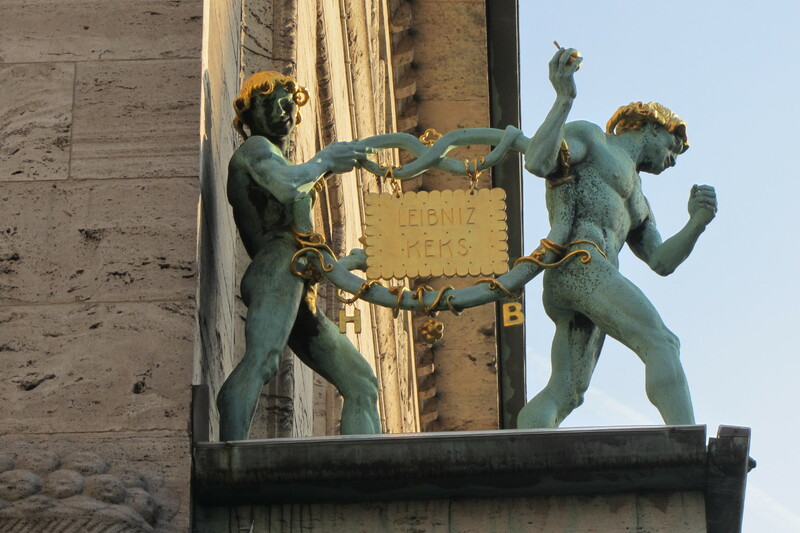 In January 2013 the 20 kilogram heavy bicuit sign made of gold-plated brass was stolen. 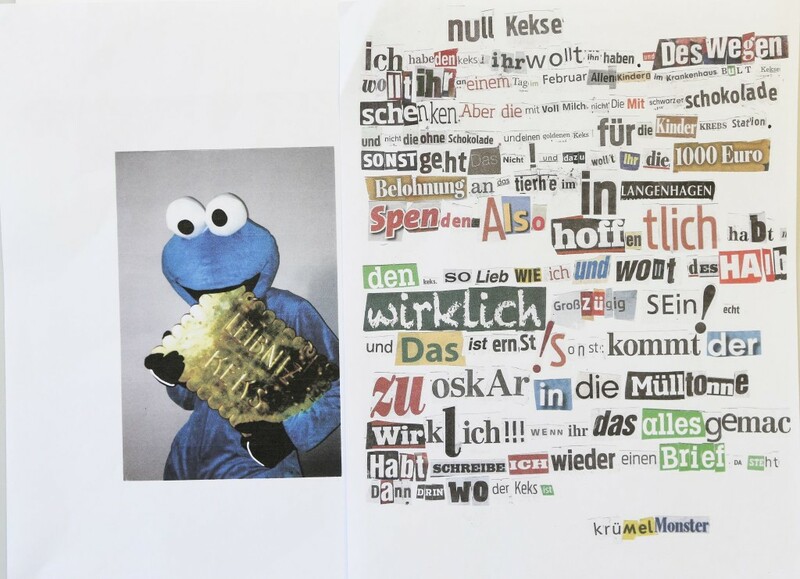 A short time later a local newspaper received a blackmail letter with a photo of a person in a cockiemonster constume holding the missing golden biscuit. Photo: PD Hannover“Me have the cookie!” was written in the letter, “You want it back and therefore you want give biscuits to all children in the children hospital. But those with milk chocolate on it. If you do not, me put the cookie to Oscar into the trash bin”. The real cookie monster has denied any involvement via twitter. 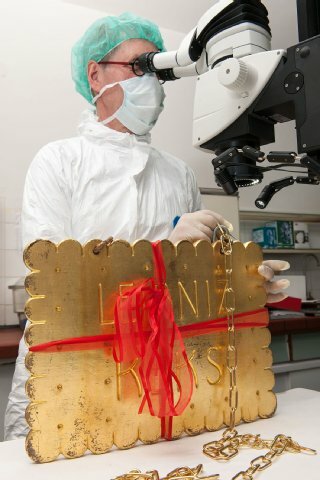 In February the Golden Biscuit was found tied around the neck of the lower saxony horse statue in front of the university of Hannover. Although Bahlsen had the cookie back they still wanted to donate 52.000 cookies to 52 social facilities. The state office of criminal investigation searched for finger prints and DNA traces but in May they stop proceeding because the offender could not be found. 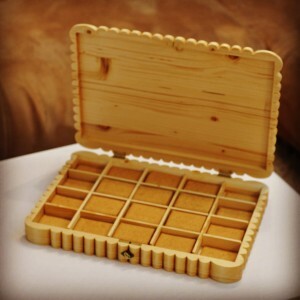 In the end I finished everything on the outside with boiled linseed oil and the inside with a mineral oil wax mixture. Phew! That was a lot of work… I had to file 52 teeth and sand them 3 times… but in the end it looks nice. Actually I also wanted to engrave the name of the biscuit and some more details but I had no time left. Maybe I will change it in the future. As I said this is part of the Woodworking Europe Collaboration Build 2015. Please check out the playlist on youtube to see what other participants came up with. Posted on April 16, 2015 by Daniel. 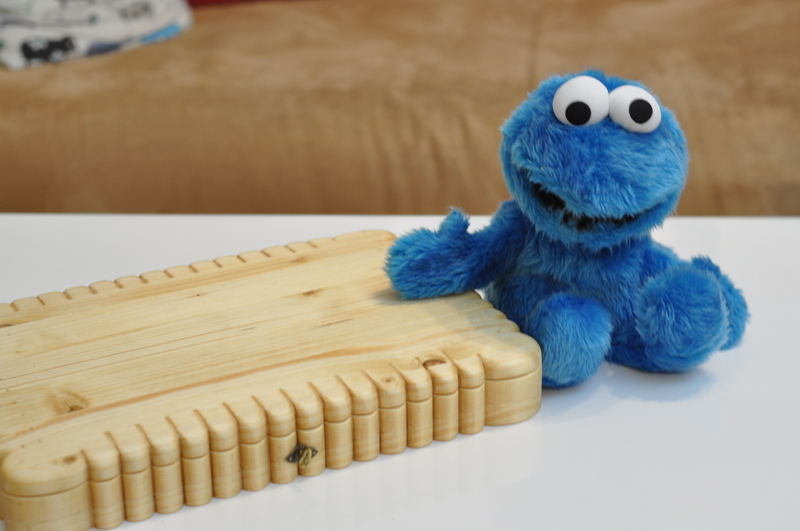 This entry was posted in Decoration and tagged Bahlsen, Box, Cookie, Cookie Monster, Leibniz, Spruce, WWEuropeCB2015. Bookmark the permalink.